The Only Way Is Essex according to the Sky TV show and poker players could be forgiven for thinking the same with news of a big two day spectacular in the county this weekend. The £300 event at the Debden Poker Club is a two-day, deep stack tournament with a guaranteed first prize of £20,000 and an estimated prize pool of £50,000. The action gets under way at 8.30pm on Friday with day two commencing at 3pm on Saturday. 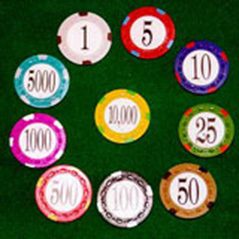 Players will start with 20,000 chips with a 30 minute clock. For more information on this event and Debden Poker's seven-day-a-week tournament schedule visit Debden Poker.